It is hard to miss the current weather lately as it has been very cold and rainy. This makes us think of being cozier by starting to wear layers and incorporate clothing that will makes us feel warm. However, it is easy to fall being the victim of wearing a sweat shirt and baggy sweatpants to get into that cozy comfortable mood. For those who are looking of a way to still feel the comfort and not sacrificing your taste for style, here are a few pieces that will help elevate your outfits easily. Scarves serve as an added accessory to your whole look. No matter what you have on, simply putting it around your neck will definitely give your outfit a lift effortlessly. Do not be scared of the oversized blanket scarf look as it is incredibly warming and can be styled in various different ways. If you think what you have on looks simple, robe coats definitely does the trick in giving that boost of style. Throw over any type of outfit and experience the comfort of it all. Choose from the wide array of colours or designs and show off your look with confidence. For those who aim to have a more luxurious feel during this cold weather, opt for fur coats. Fur is always a statement piece that gives that perfect glamorous yet comfortable touch to your appearance. Wear it over your top and this will absolutely make you the center of attention everywhere you go. Let us not forget that your footwear plays a role too in making or breaking your OOTD looks. 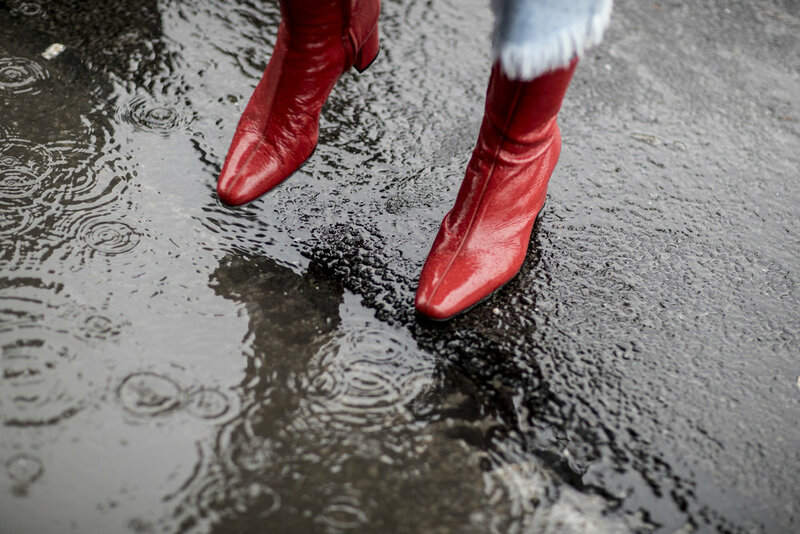 For this cold rainy season, why not walk your days in chic comfortable boots. Cover those toes with covered footwear such as boots and strut like a model throughout the day. Whether you are going for heeled boots or not, the feature of boots always brings that extra trendy hint if style. So what are your go-to outfit pieces this rainy season? Leave us your ideas down below.